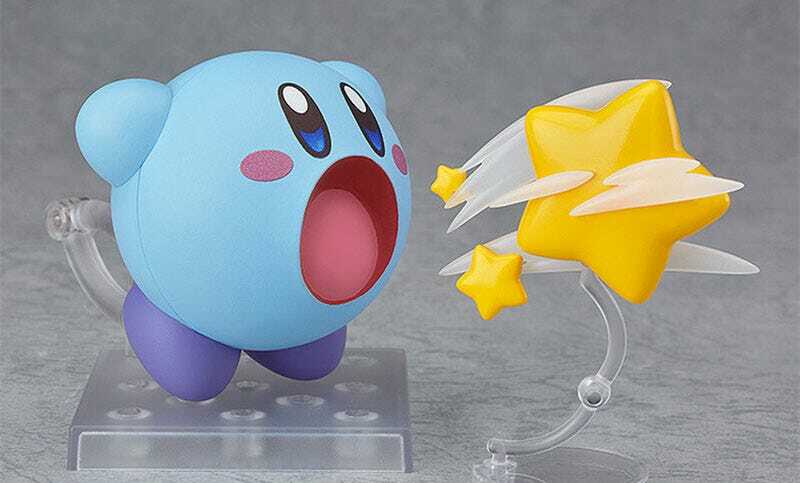 Figma will be releasing a couple of Kirby Nendoroid figures later this year, one a re-release of their original Kirby, the other a brand new Ice Kirby. They’ve got umbrellas, Link’s hat and one is either sucking in or throwing up a star, and it looks kinda gross. Both come with alternate facial expressions and some bonus items, will be out in December, and will cost around USD$40 from importers.